The United Nations Refugee Agency (UNHCR) has recorded a sum of at least 65.3 million people being displaced from their homes, mostly due to fighting and violence in their countries. Most of the displaced people, about 41 million, moved to their countries of origin. It has been the greatest number of internal displacement ever recorded by the UN. 21.3 million have fled to other nations, mainly due to armed conflict. Almost half of them are children. The most notable countries are Syria and Afghanistan, which have been enduring a deadly civil war for the past couple of years. Refugees leave their home country only to find how the world’s immigration policies and treatment of immigrants have gone into a decrepit state. “The refugees and migrants crossing the Mediterranean and arriving on the shores of Europe – the message that they have carried is that if you don’t solve problems, problems will come to you,” said UN High Commissioner for Refugees Filippo Grandi. Xenophobia is increasing on a large scale due to the barriers people have to resort to trying and defend themselves and their families against the apparent threat of mass immigration. The risk of safety whenever there are immigrants is always present because, for instance, homeland security officials cannot tell which immigrant out of millions has a plausible political agenda. High Commissioner Grandi stressed the importance of political action to stop conflicts. He noted that actual solutions would allow easing the flow of migrants from countries submerged in complex armed conflicts. According to the European Union, only 2,406 refugees have benefited from relocation. High Commissioner Grandi said that Europe can expect more people to look for asylum. It is worth noting that these numbers do not account for people that were displaced due to natural disasters. Last year, around 19 million people had to leave their homes due to floods, fires, earthquakes and similar events. If compared to world population, the UN assures that 1 in every 113 people is a refugee. 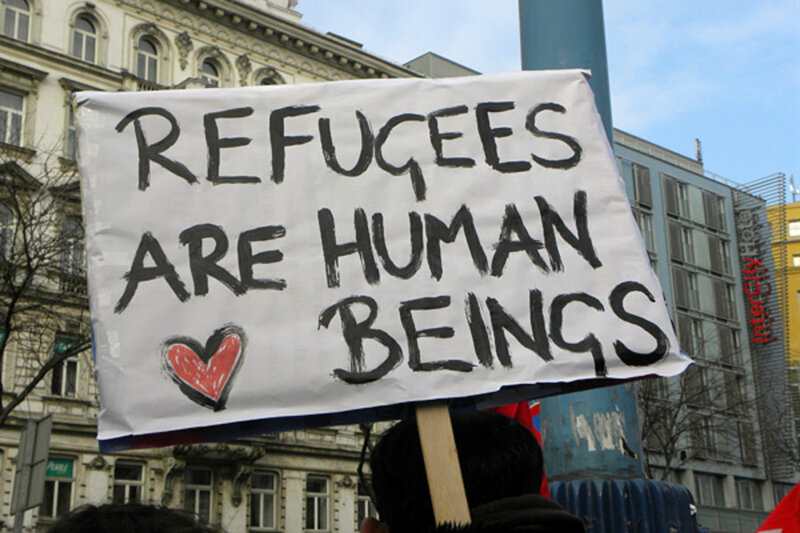 Half of all the refugees in the world come from Syria and Afghanistan. Syria has produced an estimated 4.9 million refugees while Afghanistan has at least 2.7 million. Regarding internal displacement, Colombia led the charts at 6.9 million while Syria reached 6.6 million. UNHCR’s Global Trend public release emphasizes the rapid increase in the number of refugees and migrants arriving in Europe by sea. Each week since late 2015, thousands of migrants risk their lives trying to cross the Mediterranean Sea towards Europe, usually trying to make it to Greece or Italy. It is estimated that at least one million made it to the shore in 2015, four times the amount of 2014. The most important factors when taking into account a country’s possibility of hosting refugees are those that display its development level. Low and middle-income countries have a hard time accommodating refugees, but rich countries place stricter guidelines on immigrants. Neighboring countries to Syria, for example, have hosted 86 percent of all the refugees followed by the UNHCR. Twenty years ago, that number was 70 percent. Which countries are hosting more refugees? The report states how least developed countries have taken the responsibility of admitting refugees, even if these countries cannot meet the humanitarian needs of their citizens. The 30 countries with the highest number of refugees when compared to their GDP, were all countries still in development, except Russia, being ranked at 30th place. One of the countries with the heaviest load of refugees is the Democratic Republic of the Congo, hosting 471 refugees per 1 USD of their GDP per capita by the end of 2015. Ethiopia and Pakistan were ranked second and third respectively, while Turkey, although being a developed country, also has a high amount of economic pressure due to their refugee population, hosting at least 2.5 million refugees this past year. Since its founding in 1951, the UNHCR has helped world powers find solutions for refugee crises over the course of history, particularly durable solutions that are beneficial on legal, economic, cultural, and political matters. The primary objective of UNHCR is to allow migrants, whether they are refugees, internally displaced, or stateless people, to benefit from the same rights that a national would enjoy. These solutions are complicated, and they require the cooperation of many partners and organization, but in spite of every obstacle, the UNHCR has been able to achieve progress in the area. The issue is that to make further development on the matter of refugees; comprehensive solutions must be preceded by a collective commitment to recognize the real causes of the ongoing refugee crisis. One of the proposed solutions is to promote voluntary repatriation. But the lack of political stability and security makes it impossible for millions of refugees to return even if they are willing to start all over again in their home country.